Plus some moths. Over 100 of the most colorful species are shown. The captions cite common name, biological name and where they are found. 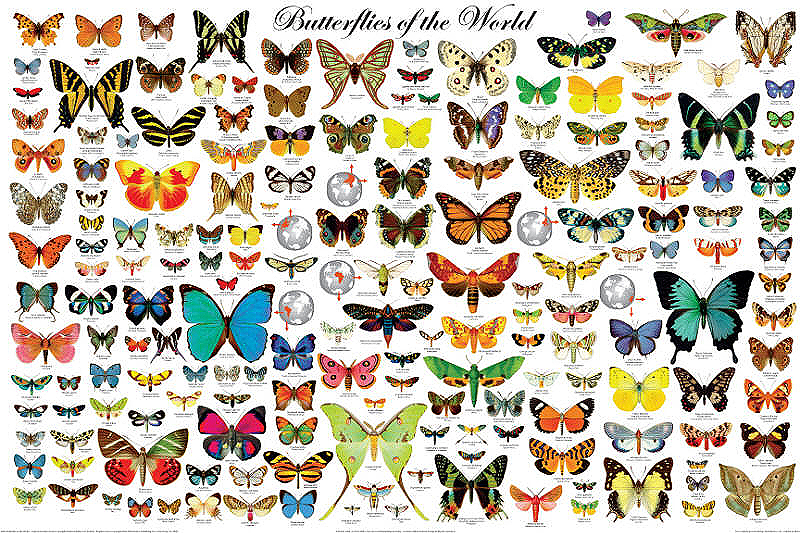 These beautiful insects are grouped by continent or other geographic area. Unique globe and arrow icons identifies the location.